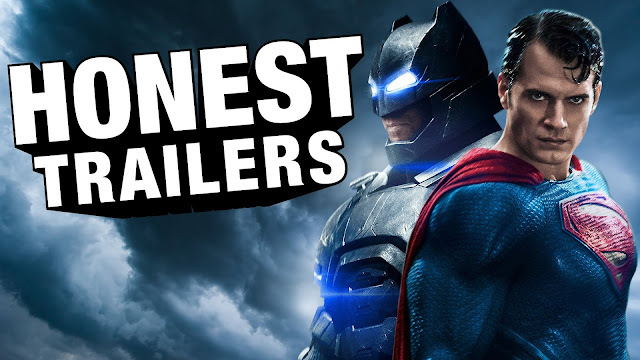 Look, at this point, I don't know what Screen Junkies' Honest Trailers could say about Warner Bros' "Batman V Superman: Dawn of Justice" that hasn't already been said ad nauseam on the internet. It's been the most polarizing film of the year, still debated about five months after its release. Nonetheless, this funny rundown of all the points of contention in the film get covered. The "Hector Salamanca" reference might be my favorite. Trailers does a good job of providing a broad scope of criticism and praise where needed. The "the blockbuster that united the world’s two biggest superheroes and divided everyone else" covers one of the most disturbing aspects, the vile backlash against critics. While some were certainly unfair (we liked it and gave it a favorable review) most were critically professional but death threats and conspiracy theories were uncalled for. Anyway, the major point was that BvS probably tried too hard and packed one movie with too many ideas. There's a lot to disseminate so prepare to hear all those criticisms you've already heard with some intentional humor for a change. Check out the video. Get Batman v Superman: Dawn of Justice Ultimate Edition now on video.